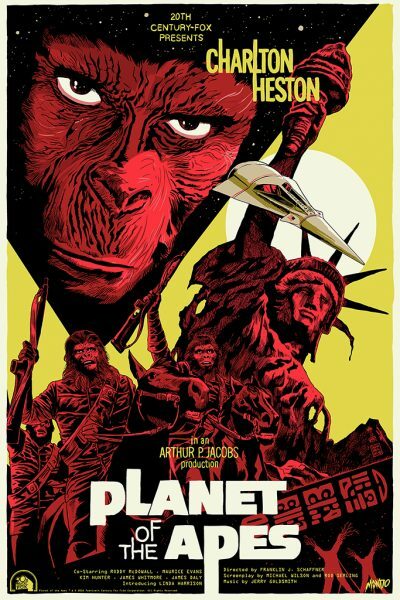 It’s the 50th year anniversary of the sci-fi classic ‘Planet of the Apes’, and to celebrate MONDO is releasing an extremely limited release poster by artist Francesco Francavilla. The poster is screenprinted, and sized at 24″x36″. Only 250 hand-numbered posters will be made available, and like many MONDO releases of this kind, they’re only be available on the MONDO website at a random time tomorrow, 11/30. The poster is priced at $55, and is expected to ship January 2019. If you’re interested, keep an eye out on the MONDO website through tomorrow.